With the icy winds of winter finally hitting Sydney, hibernation begins among the artistically inclined. We fight against freezing toes and do our best to drive out draughts, taking a stand against the shivers. But what’s this? Your hot water bottle is naked? Your teapot laid bare to the elements? Neck undefended against the cold? Never fear! Gird your loins (surely there’s a pattern for that somewhere) and arm yourself against the elements with practical craft books from the Gallery Shop. Lead the charge against the chill with Once upon a knit . Packed with designs like a Red Riding Hood cloak and spooky silhouette socks, it has plenty of cosy armour with every piece telling a story. Huddling together is an excellent way to keep warm, and don’t let a lack of company stop you from getting your snuggle on. The resourceful huddler can turn to Knit your own boyfriend for instructions on how to craft a squeezable significant other as well as a range of stylish outfits and uniforms. Best of all, the clothes and characters are easily customisable for huddlers who might prefer to knit their own girlfriend, boy band, personal chef, minions or law firm. There may come a day when there is a better place to be during winter than in bed but it is not this day. And sew to bed recognises this, with projects both glamorous and comfortable to make the boudoir the room you never want to leave. 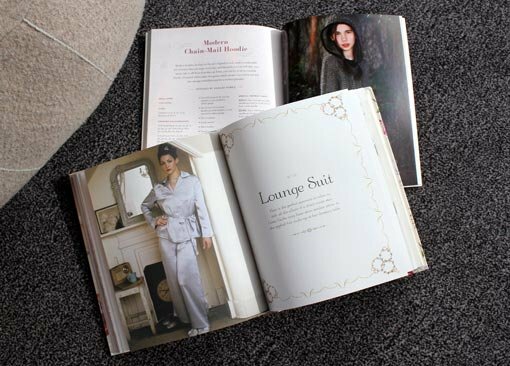 The designs are vintage inspired and distinctly old-Hollywood in style, with fabulous dressing gowns, slippers, hot water bottle covers and cushions galore. The standout feature is the back pocket of the book containing cut-out pattern sheets for all the projects, which makes it that much easier to never need to set foot outside the house. Your arsenal cannot be complete without a guard on that most valiant winter soldier: the teapot. How tea cosies changed the world may sound like it makes a pretty grand claim but frankly, tepid tea could be a deal-breaker in many a fraught arena so it’s best not to risk it at all. Camouflage your teapot with pompoms or fit it out with spikes and thus prevent it from being another casualty. We’ve lost too many brave pots to the cold. Hunting trophies are an excellent way to display evidence of your lethal skills to enemies, but this usually involves going outdoors and engaging violently with nature. Not anymore! 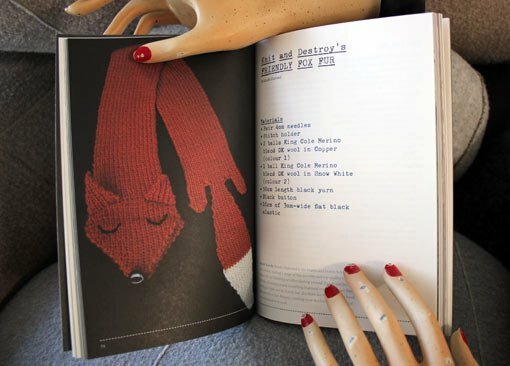 Craftydermy shows you how to impress friends and terrify casual observers with a range of beastly decor items and wildlife wearables that you can sew, knit, crochet and stuff yourself, from a fox-friendly fur stole to a hand-stitched tiger rug. Ultimately, no matter how low the temperature gets, you can know that you’ve got yourself covered – from bedsock to beanie – with these DIY defences. Declare yourself the victor, grab a cuppa and bask in the crafterglow.